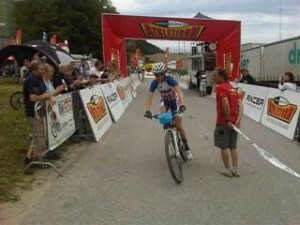 Park City's Keegan Swenson took second in the Gränichen Swiss Racer Bikes Cup in Gränichen, Switzerland on June 5. Swenson, along with five junior men, made his European racing debut last week in Offenburg, Germany. In Switzerland, First-year junior rider Keegan Swenson (Park City, Utah/Whole Athlete-Specialized) immediately found his way to the front of the 60-rider field. Swenson dropped as far back as sixth before increasing his speed to move into second place at the finish line. Among the riders Swenson passed were Andri Frischknecht, who had a first and second in the first two World Cup races, and Dominic Zumstein, who placed third in Offenburg. 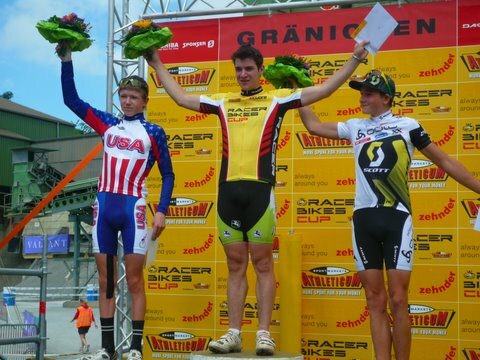 Swenson's success as a first-year junior rider represents a significant high point for USA Cycling's European junior rider mountain bike program. Swenson came through two USA Cycling Regional Development Camp and then was invited to two USA Cycling National Talent Identification Camps.